Diese "Hastings" war lange Zeit als "Gate Guardian" zur Erinnerung an die Berliner Luftbrücke auf dem Flugplatz Gatow abgestellt. Interessant erscheint die Registration dieser Maschine. Hier beschriftet mit TC503, obwohl bekannt unter der Nummer TG503. Im September 1997 wurde entschieden, diese zum Alliierten Museum an der Clayallee im Bezirk Zehlendorf umzusetzen. russischen Schwerlast-Hubschrauber vom Typ MIL MI-26 von der staatlichen Katastrophenschutzbehörde "MTcheS Rossii". 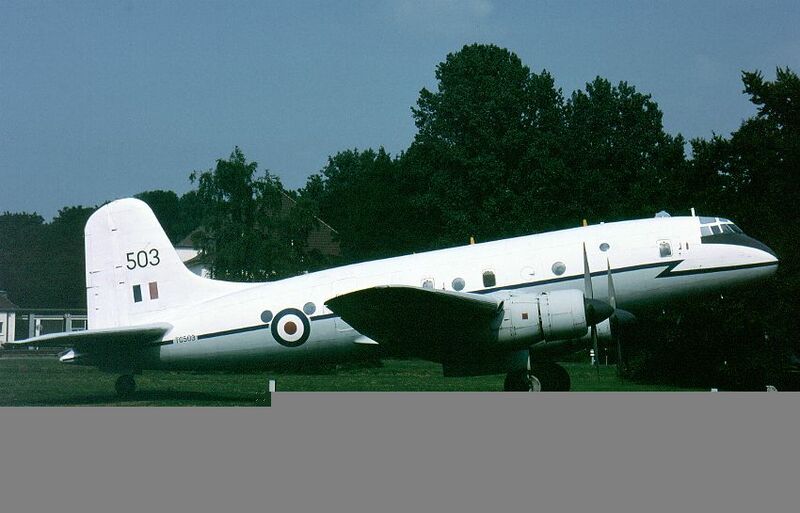 This "Hastings" was stored for a long time at the airfield Gatow as a gate guardian in memory to the Berlin airlift. Of interest is the registration of this plane. Here it carries TC503 but well known as TG503. In September 1997 there was a decision met, to ferry this plane to the Allied Museum located in the Clayallee in the district Zehlendorf. Russian heavy-load-helicopter of the type MIL MI-26 from the state Catastrophe protection authority called " MTcheS Rossii ". Anthony Elliott was on this September day on tour with his camera and shot some amazing pictures.